VIP South Beach Magazine your Miami Nightlife Insiders Guide to the best of South Beach Miami. Our goal is to keep you informed of the best Miami nightlife nightclubs, lounges, bars, restaurants, parties and South Beach events. We will let you know about all the South Beach Miami hotspots and events that you do not want to miss day and night. As I am sure you have heard the South Beach nightlife changes constantly so staying informed is mandatory if you want to keep up with the chic crowd in South Beaches party wonderland. Our VIP South Beach Magazine Miami Nightlife Insiders Guide will keep you updated on the best of the best! South Beach Miami has something for everyone from trendy Miami Beach hotels to the best restaurants and of course some of the most amazing nightclubs in the world. So weather you are coming to unwind on the beautiful beaches dine at the international restaurants or party all night long in the high energy nightlife you will not forget your amazing South Beach experience if you know were to dance, dine and stay. September is a great time in Miami with plenty of great events. The events include the Miami International Auto Show from from September 10th through the 18th at the Miami Beach Convention Center. Kanye West will be preforming at the American Airlines Arena on September 16th and 17th. The Brazilian Film Festival is from September 17th through the 24th. If you like the fashion industry The Miami Fashion Film Festival is from September 19th through the 23rd and includes documentaries, short films. The event is held at the Miami Beach Cinema on Washington Ave in South Beach. Miami Beach is an international fashion hub with plenty of models, fashion photographers and events including Miami Fashion Week in May and the popular Miami Beach Mercedes Benz Swim Week Fashion Shows in July. A big part of the reason South Beach became a jet setters playground is due to the fashion industry who discovered the beautiful beaches and started coming to Miami Beach in the late 1980s and the 1990s and doing all there shoots with the Art Deco hotels and amazing beaches as there backdrop. Miami Beach became known as model central and all the top Miami Beach modeling agencies started opening and Miami Beach fashion photographers were shooting up and down Miami’s amazing beaches. Miami Beach has evolved and become so popular with so many annual events that there is also a huge demand for promotional modeling agencies. Promotional models get hired to do all types of events from nightclub opening to fashion shows, brand representation and trade shows. We will be paying tribute to all the beautiful models that made Miami Beach one of the fashion capitals of the world with inspirations from Latin America to the runways of Europe. Each month VIP South Beach Magazine will feature a new upcoming promo model for our segment VIP South Beach Magazine Promo Model Of The Month. If you are a Miami model and you are interested in being featured please contact us for consideration. If you are coming to South Beach its always best to have your reservations made before you arrive due to the demand is great for the hottest hotspots in party land and our VIP services are the perfect way to go to ensure you have your reservations made at the best nightlife South Beach has to offer. If you are celebrating your bachelorette party or bachelor party in South Beach you want to have everything perfect for your last weekend of the single life with your best friends. 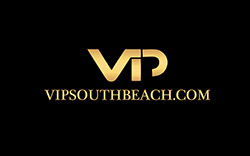 VIP South Beach has the perfect South Beach nightclub party package for an amazing time it Miami. Our VIP Concierge service will make all your reservations at the trendiest hotspots on the best nights to be there. We will create the perfect personalized itinerary with four venues each night starting with a hip bar for a drink then dinner reservations at one of South Beach chic restaurants followed by a cool lounge and off to South Beaches best nightclub in town with VIP table bottle service reserved you will have quick entry and no waiting with complimentary admission. Your nightlife itinerary will be suited to your tastes and we will ensure you are in all the best A list hot spots. VIP South Beach Magazine is your ultimate insiders guide to the best of South Beach and Miami, including the best restaurants, nightclubs, bar, lounges, spas, hotels, stores, boutiques, South Beach Miami nightlife parties and events and much much more. VIP South Beach Magazine only represents the highest quality establishments in South Beach Miami. Please contact us for advertising opportunities.